I heard the Robin sing the day they arrived. March 20th a sunny warm spring evening when I met them at the Trego Post Office. I told Rebecca I would cry when I met her and I did. I cried uncontrollably – it had been a great loss that brought Liska Pearl into my life…….And so we begin. Liska Pearl a seven year old registered Norwegian Fjord comes from Dream Catcher Therapeutic Riding in Pendelton, Oregon. Rebecca and Gary Adams founders of Dream Catchers Therapeutic have donated Liska Pearl to my rides. Liska means flower in Norwegian. I added Pearl of course in honor of my beloved late, Essie Pearl. I found out after talking with Rebecca that her grandmother’s name was Jenny Pearl, so adding Pearl to Liska seemed all the more fitting. Liska Pearl has been part of Dream Catcher Therapeutic for four years. Rebecca began the riding program located in Pentleton, Oregon, over 15years ago and is now passing it on to younger hands, Morgan Madison. Morgan is an energetic 31 year old with a bachelor of science in Therapeutic Equine Riding. She attended the Rocky Mountain College of Billings, Montana. AND Montana Spirit’s companion pony Raven has joined Dream Catchers program. He will be adored! Rebecca and Gary Adams spent a couple of – I hope restful evenings at my cabin gazing at the unbelievable snow surrounding them. As we got to know one another better Liska settled in with ease. Spirit seems calm with her new mate, our new traveling companion. We have already been out together. 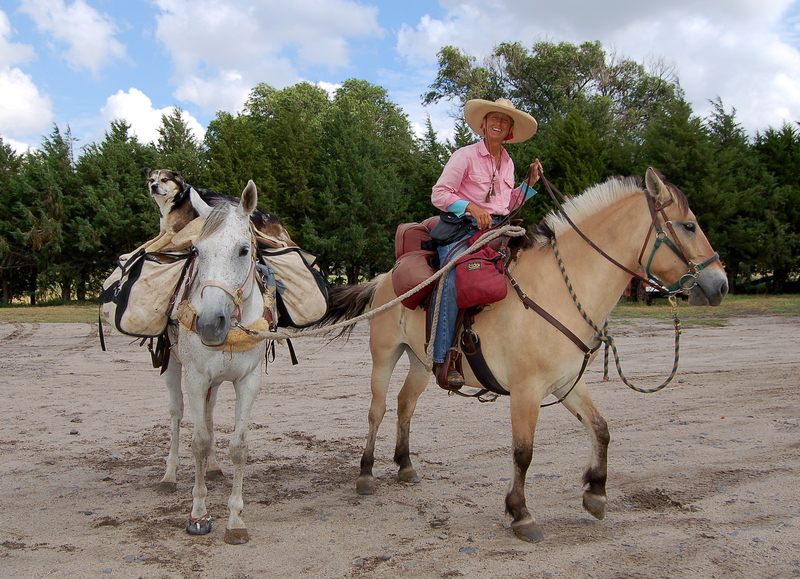 I riding Spirit with Liska Pearl trotting at our side, four long ears like bright smiles darting forward. A soft gravel road under our merry feet. Temporary snow berms like 4 foot guard rails on both sides of us. Soft cool mountain air filling our lungs. I must thank all of you (you know who you are! )that helped me through this winter of long wait. With your support and encouraging phone calls, emails, Facebook PM’s I feel I am, like the horses who are shedding winter coats, I am shedding months of sorrow and loss. With more appreciation and gratitude than I know what to do with, we begin…Montana Spirit, a lady long rider and Liska Pearl. Dream Catcher Therapeutics was founded as a nonprofit corporation in 2001 in Pendleton Oregon, to give people with emotional, physical, and mental challenges the opportunities to ride, groom or simply hug a horse. The founders of Dream Catcher Therapeutics, Gary and Rebecca Adams have a son with cerebral palsy. Living in Pendleton Oregon, home of the “world famous” Pendleton Round-Up, horses are a part of the culture here. We needed to find a way to involve our son with horses in a safe and engaging environment. No programs were available in our area, so we started our own. We found that others shared our need for a therapeutic horseback riding program. The program grew, and we became interested in a breed of horses called a Fjord Horse. All the larger therapeutic programs had these amazing horses as lesson horses. We began looking into this breed, and found one to start with. Liska was her name. She joined our herd of Quarter Horses. She was very young, but quite calm. Our son was the first person with a disability to ride Liska. She was very in tune to his needs for balance, and slow pace, as side walkers walked along side to provide him support as he rode. She did not mind the added human contact. Here , Liska entertained school children from an intensive learning classroom, allowing them to paint their hand prints on her at the end of their 8 week spring riding session. In the cowboy town of Pendleton, the Fjord Horse was a unique sight. Soon, four more Fjord Horses entered our herd. The therapy aspect of a horse is not unique, though they must be calm, patient and immune to the distractions created by some of our special riders. Our Fjord horses meet these criteria. As a rider starts out, goals and objectives are decided upon. The rider is evaluated as to his or her abilities. A lesson plan is developed with the ultimate goal of independent riding. Exercises that test the balance and muscle tone of our riders are used on horseback to assist with these issues. Cognitive exercises help the rider to overcome some areas that may otherwise lead to behavioral issues. Dream Catcher has opportunities for community members to assist with our program. Being able to serve the community of special riders is limited by the number of volunteer we have. Each rider starts out with 3 volunteers. One to lead the horse and one person on each side called side walkers, to keep our riders secure. Change is a part of life, and change has affected Dream Catcher Therapeutics as well this past year. Retirement and human life plans, and changing needs of our son have lead to the decision to “pass the pitchfork” for Dream Catcher Therapeutics to a new executive director, and a new board. The new direction changes the plan for some of our therapy horses. Liska would need a new job. There was a need to provide her with something that would fulfill her potential, and that need came up when the Lady Long rider Bernice Ende put out a request for a Fjord Horse mare on the Pacific Northwest Fjord Promotional Group social media site. Rebecca contacted Bernice, and offered Liska as a horse that would fulfill her request. “Liska Pearl” is soon to make her trek (by truck and trailer) to her new home. 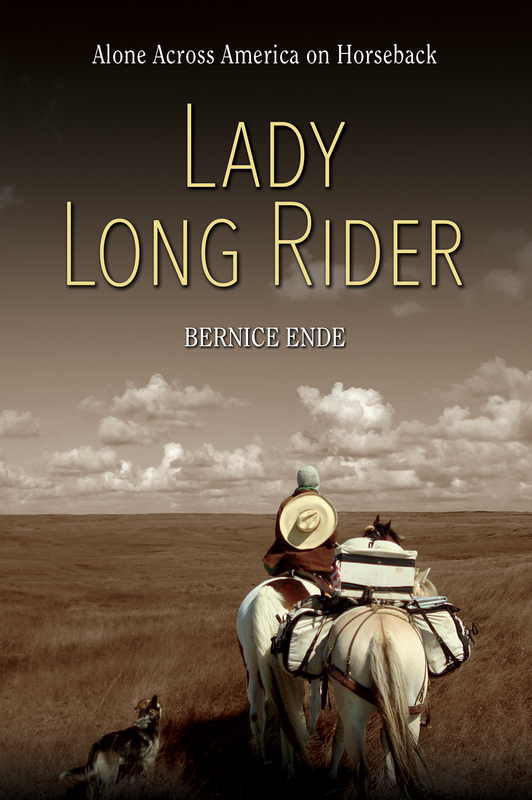 Bernice will continue the story of Liska Pearl as she joins Montana Spirit and Bernice on the next long ride adventure. dreamcatchertherapeutics@gmail.com is the email address. PO Box 34 Pendleton Oregon 97801 is the mailing address.